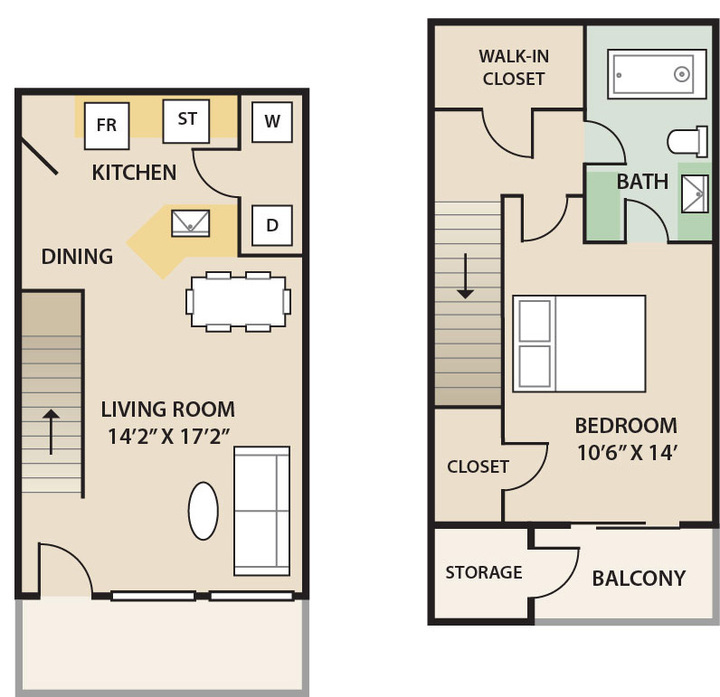 Which floor plan works best for you? Browse our available options below. This cozy one bedroom home on the first floor features a generous size bedroom, with a walk-in closet. A lovely patio and full-size washer and dryer compliment this home. This first floor one bedroom home has an open living room and dining room space giving you lots of design options. 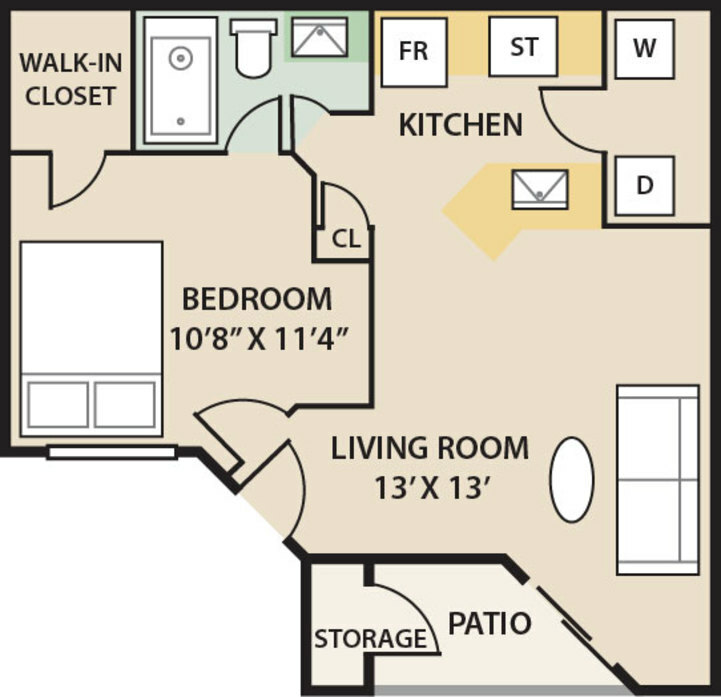 In your bedroom feature a walk-in closet and a lovely private patio with an extra storage closet. This first floor one bedroom, one bathroom home has an open living room space, a walk-in closet and a lovely patio with an extra storage closet. Lots of room to be creative in your living space. This one bedroom, one bathroom townhome features an open concept living room, dining area, kitchen and a private balcony from your bedroom on the 3rd floor. You will never have a neighbor above you in this unique space. 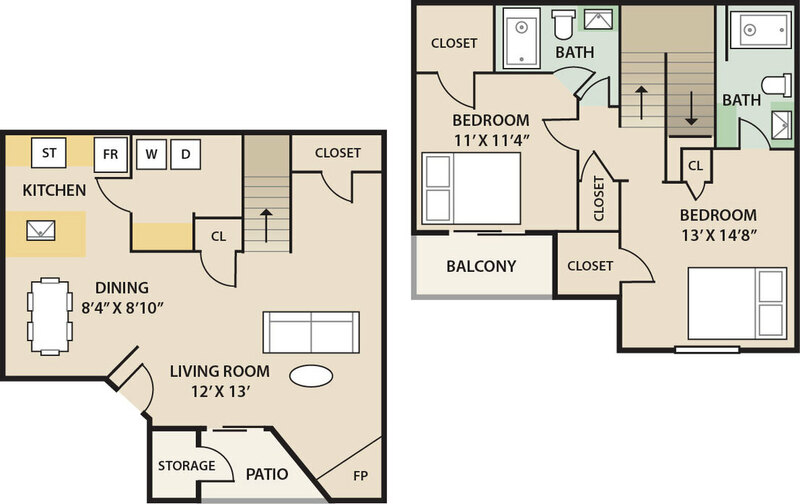 Two large closets on the upper level provide an abundance of storage. 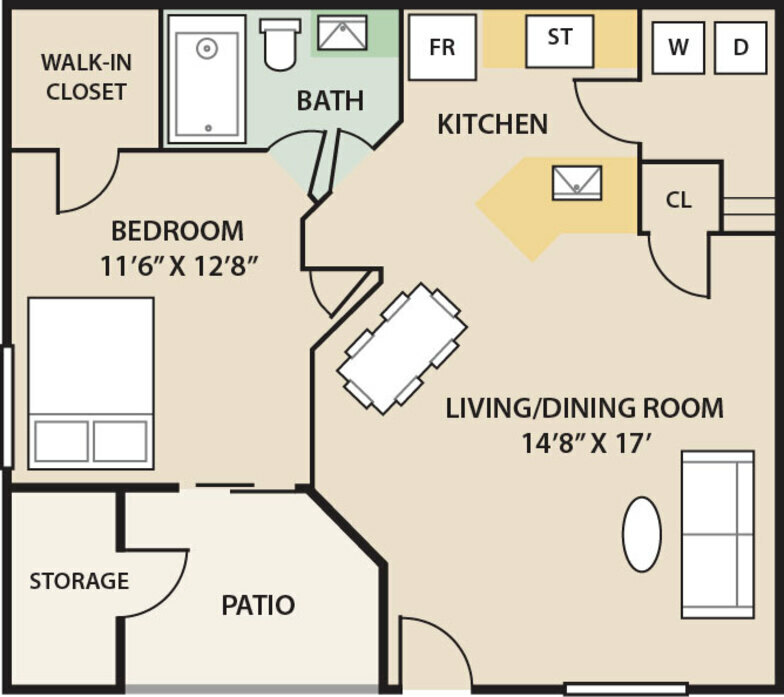 This two bedroom 2 bathroom townhome features 1,250 square feet of living space. 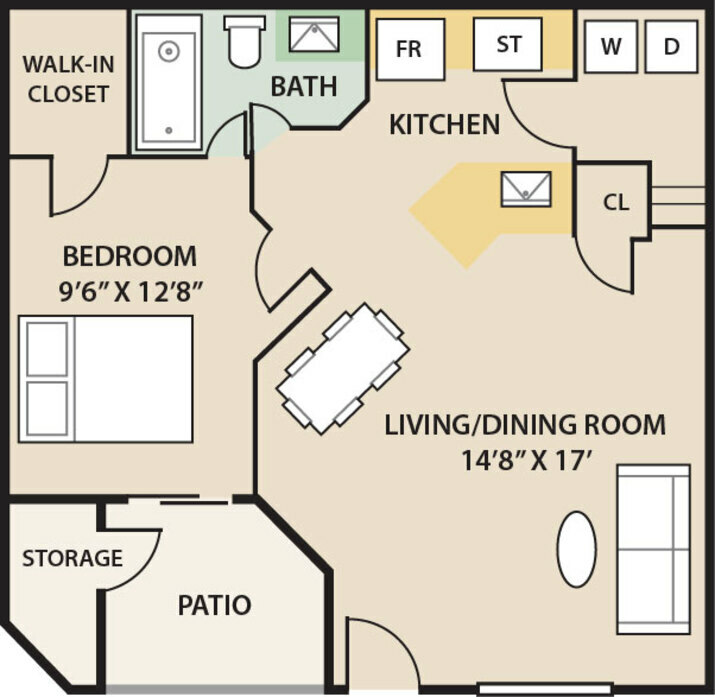 Enjoy separate living and dining spaces, a work area with extra storage and an abundance of closet space. Two patios allow you to enjoy beautiful afternoon breezes. © Copyright 2019 The Glades Apartments. All rights reserved. Equal Housing Opportunity Provider.